Saturday, Sept. 21, 2013. A great day for a ride. Thank you to our sponsors, supporters, partners, volunteers... and riders! ... to our Gold Sponsor! And to our Silver Sponsor! And to our Bronze Sponsors! Bikers Edge, Highland Park Market, Stop & Shop and The MDC. Online registration is now closed, but you can register late at Bushnell Park on Saturday morning from 7 - 8 am (credit card, cash, check). See you there! Registration Fees: Same Day Registration: $45, members and nonmembers. Kids under 18 and college students are $10. 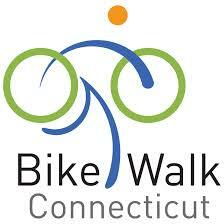 Join Bike Walk Connecticut on Saturday, September 21 for a 10, 25, or 40 mile bike ride through Hartford's beautiful parks and vibrant, diverse neighborhoods. Ride the Discover Hartford Tour to discover the fun of biking as a great way to see your capital city. Come back and stay for a full day of fun at EnvisionFest, with entertainment throughout the downtown. The tour follows a mostly flat route and is meant to be ridden at a leisurely pace. The ride is open to riders of all levels, and families are welcome. Proceeds benefit Bike Walk Connecticut, your voice for bikeable, walkable communities. Details: The tour starts and ends at Bushnell Park. Festivities start at 8:45 am and the ride takes off at 9 am. Come early to register! Registration will take place at the main tent in the park. Routes: Pick your route - with 10-mile, 25-mile, and 40-mile options, there's something for everyone! Not a member yet? Join when you register! After the ride stick around in town for EnvisionFest and the free They Might Be Giants concert at 6:30 in Bushnell Park! Then come back on Sunday to watch a day of racing at the Connecticut Cycling Festival. Race proceeds benefit CCAP's youth cycling program. More info here. Watch the Channel 8 video below and read the accompanying story about the 2012 Discover Hartford Bicycle Tour and EnvisionFest here. Scroll down for photos too!